Content development can take up days, even weeks of your time.When you account for everything - i.e. copy, graphics, page creation, and your personal time - each additional page of content you add to your website can cost you $100+. It's the expensive part of building a website. Ready-to-go copy, includimg nine (9) monetized offers and three (3) articles, provided in a Microsoft Word file. 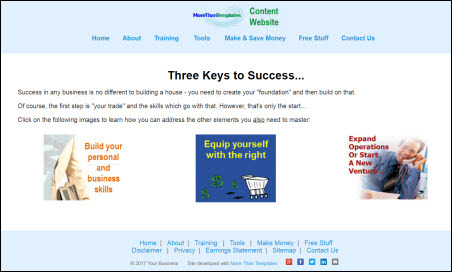 Simply COPY and PASTE some or all of this content into your existing website or Blog. Images for this content are included in the following. A done-for-you website containing eighteen (18) pages, an INSTANT ONLINE BUSINESS which you can have live on your own domain in as little as 10 minutes -- in a sub-directory, sub-domain, or as your main site. The website is already responsive - i.e. it will resize on any device - and has a working contact form which you activate during the installation. Get started online FAST - developing 18 pages of content can take a week or more and, if outsourced, would cost you $1,000 or more. With this website, you can be up and running in under 10 minutes. .
Give your visitors access to more content on YOUR site instead of referring them elsewhere. Activate a dormant domain - if you have multiple domains just sitting dormant, activate them with an instant online business. Build Mini Sites - you OWN this site and so, once live, can BRAND, MODIFY, and EXPAND it, even build mini-sites for specific product categories / niches. You can place these mini-sites on separate domains or in sub-directories - e.g. this More Than Templates "product overview" which uses the above as a base. Monetization is driven via Affiliate Links which are included in your More Than Templates MEMBER AREA. On any hosting platform you wish to use. It is HTML based and so can be moved to another hosting provider with ease. As a base for featuring your own products and / or Affiliate products from networks such as Clickbank and JVzoo. Your Custom Website/s can include some, all or none of the pages from the website provided. Only one link - in the footer - is required. See Licence Terms. 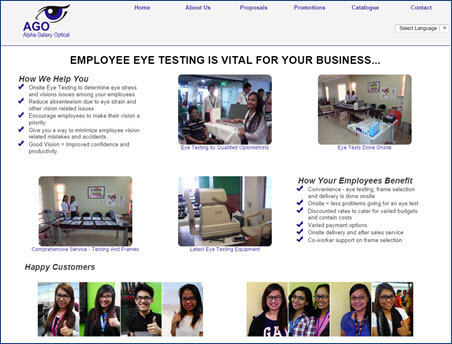 We wanted a clean and simple website which could be implemented quickly. Your product allowed us to do exactly what we wanted in a matter of hours. You get a fully operating website, including content that immediately enables you to start earning money ... you can use the system to create an unlimited number of different-looking websites with a minimal amount of design and coding skills. ... you start by copying and modifying what's already there.